Lyrics By – Manix S.Music By – Manix S.
Hailing from Tijuana Mexico, creating a mixture of Electro/EBM, members Arthur Monk and Omar Monk formed in 1998 (influenced by the likes of Leaether Strip, X.M.T.P,Haujobb, Restricted Area, And One and D.M) they formed the band Fallen Justice. After live gigs in Tijuana, Omar and Arthur decided to record the full length demo "Sightings" and changed their name to Para Normal at the same time growing a bit darker, musically speaking. Nearly a year after the self-released and self-promoted demo, the Monk cousins decided to send their work to record labels. Their sound captured the attention of BLC Productions owner, Brandon L. Clark, and the band Paranormal was soon officially signed to the BLC label. Tactil Vision was created in 2000 by Stevie Seven, founder of label/studio 5AM Conductions, who has been recording music since 1992. It represents the Hard Electro and Dark Ambient instrumental "Ritual Musicks" that are all captured in live jams and then later mixed into complete works; using a variety of analog and digital recording instruments and formats, composed in real time without using a computer. This is what gives TV it's "heavy" live sound. 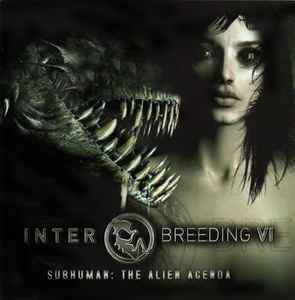 Track 13: exclusive to BLC's Interbreeding VI: Subhuman. Track 1: Original appears on full-length album "Towards Nowhere"
Track 5: from the album "Elektrizitaetswerk"
Track 6: Original appearing on upcoming album "Dead Monsters"
Track 13: Original track released on the album "Unstable". Track 11: Vers courtesy of Dysgenic Rec. Wilhelm is married to an aspiring opera singer and lives in Austria / Graz where he practices freelance art for major and minor commercial undertakings. The copyright of this sound recording is owned by the respective artists featured on this recording under license to BLC Productions.